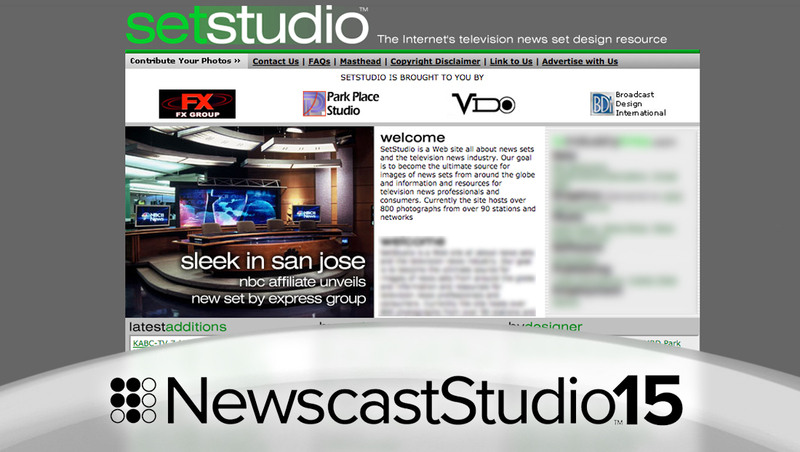 In 2005, SetStudio, the site that would become NewscastStudio, underwent a significant redesign. 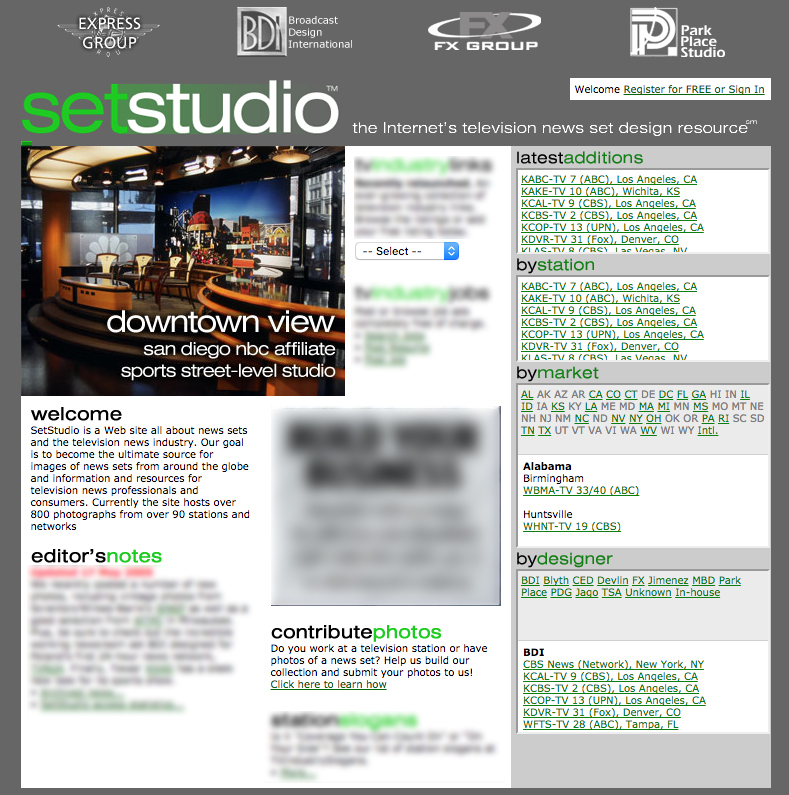 While the site retained the logo it had used since its launch in 2003, the “By Market”, “By Designer” and “By Station” tabs were removed from the main navigation. Instead, the homepage was redesigned to feature scrollable menus that let users click directly on links to view galleries. This updated look also included light gray panels that let users click a state or designer name to “filter” by the criteria. The main navigation bar, meanwhile, become home to a more prominent link to contribution information as well as other secondary links. The beveled green accent bar that was previously on top of the tabs remained. Later in 2005, the site was changed again to move the navigation panes to the right column of the site and the green bar was dropped. 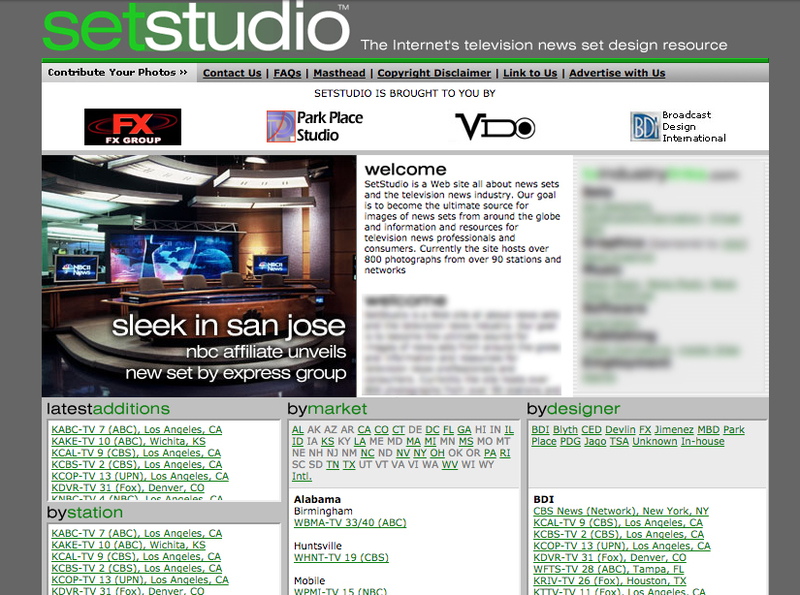 2005 also saw the addition of the tagline “The Internet’s television news set design resource,” as the site also continued to add advertisers.